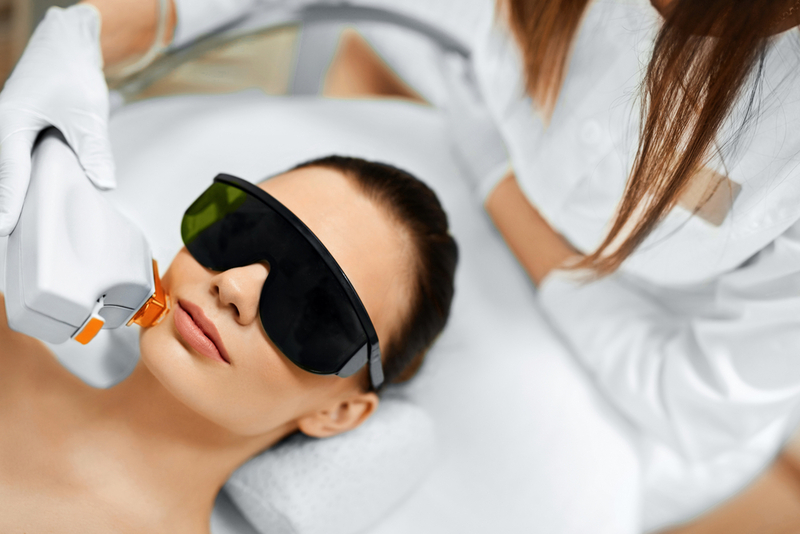 Used to improve the appearance of sun damaged and aged skin, a Photofacial is a series of gentle pulsed light treatments that enhance and rejuvenate the skin, giving you healthy, more youthful skin. A Photofacial can also reduce facial and neck redness, flushing, and discoloration. A Photofacial is performed with the IPL System and painlessly emits multiple wavelengths of light to penetrate all levels of the skin to improve tone and texture. Quick and effective, Photofacials often take no more than thirty minutes. While Photofacials are exceptional at treating sun damaged skin, this treatment is also approved for irregularities in skin texture, elimination of blood vessels, and the treatment of rosacea. How much downtime is associated with the treatment? Mild redness and darkening of pigmented lesions last about 2weeks, but it can be easily covered with makeup. Most health insurances do not cover cosmetic procedures, however if used to treat Rosacea it may be covered, depending on your plan. There is very mild discomfort secondary to laser temperature, but our automated cooling system makes treatment more comfortable.